Do you have a pile of quilt tops? 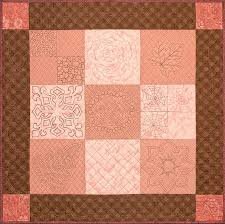 Come learn how to get started free motion quilting on your quilts. Helene Knott, national teacher and designer, will be here to teach you the ins and outs of machine quilting using your sewing machine. In this two-session class, you will have hands on practice learning; stitch in the ditch, freezer paper templates, tracing paper, painters tape for marking, and a whole lot more… This is a 2-session class.